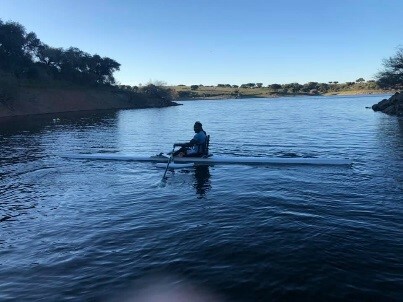 Para Rowing Foundation used the Resolute Adaptive Seat for three of their athletes at the training intensive in Avis, Portugal March 21-25, 2019. 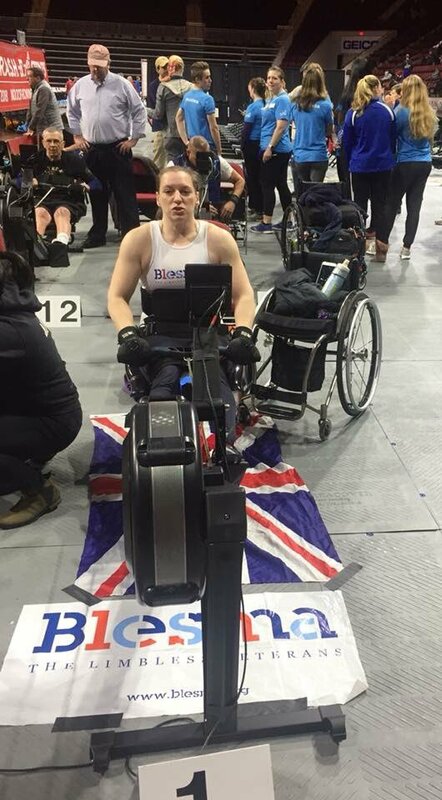 This past year, The Independence Fund broadened the scope of their donations to clubs with veterans rowing programs through the Rowing For Independence Program. RESOLUTE Adaptive Singles, Pair/Doubles and/or RESOLUTE Adaptive Seats were donated to the clubs below this year, as well as a donation of 15 seats to other qualifying veterans. 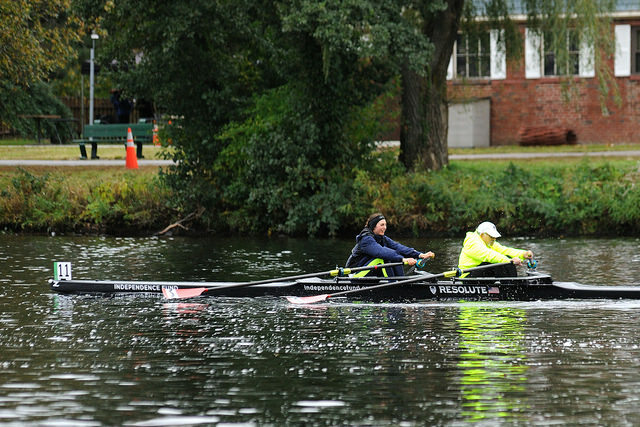 The Independence Fund's dedication to giving has helped the lives of many wounded veterans within the rowing community. 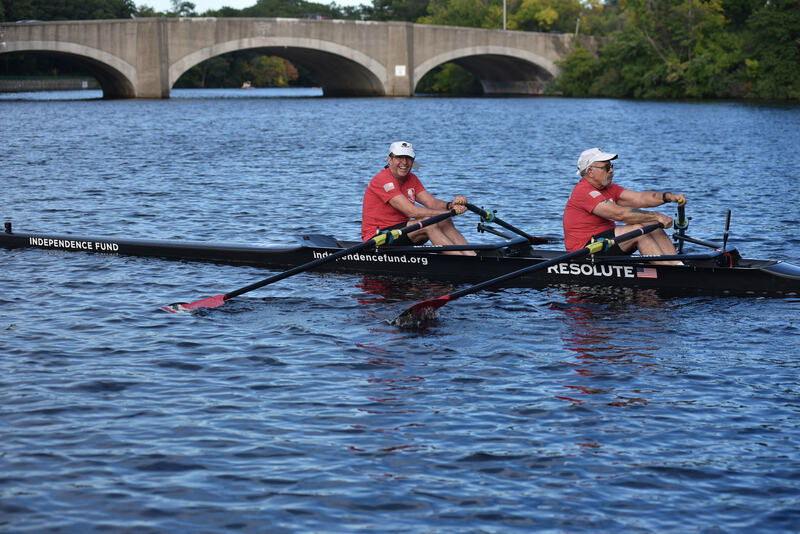 Through their Rowing For Independence program, wounded veteran rowers can qualify for a grant that includes RESOLUTE’S signature para-rowing shell and seat. 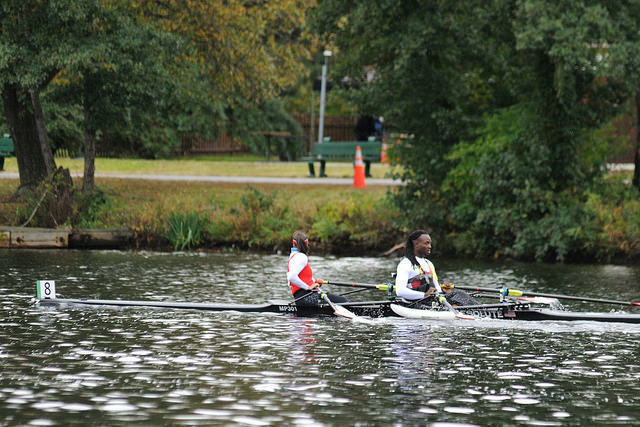 This past September marked the inaugural Rowing For Independence boat dedication at Boston’s CRI Military/Veterans Rowing. 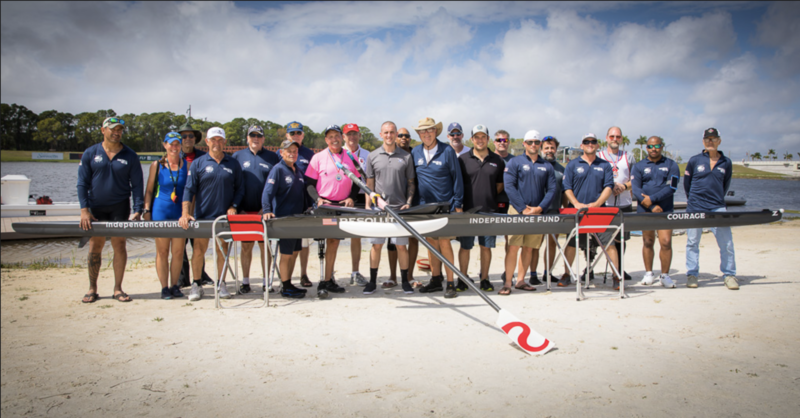 Additional sponsored boats were soon to follow with Dallas United, Sarasota Adaptive Rowing, Row New York, and private boats to qualified veterans like Bennie Jose Perez, Adaptive Athlete (U.S. Marine Corps E-5, 1991–1999 Semper Fidelis). I cannot express enough the gratitude I have towards the Independence Fund and to Resolute Adaptive! I love this boat! You all did an awesome job! I love it! When I see the Eagle, Globe, and Anchor, the emblem of the Marine Corps, a huge sense of pride comes over me! I feel like I am back on active duty. 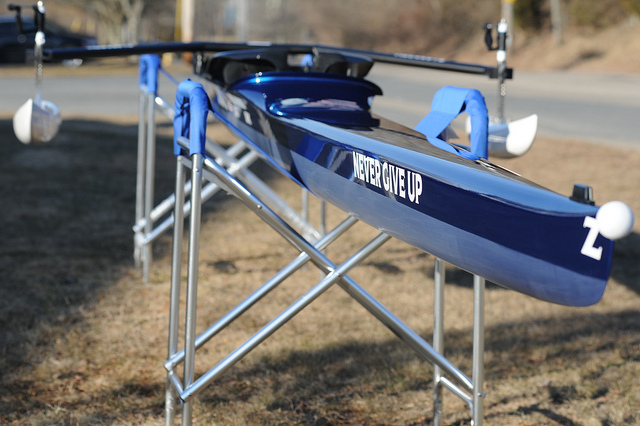 So, thank you, Resolute Adaptive team for offering that choice of putting my beloved Corps on my boat! And thank you for taking pictures! 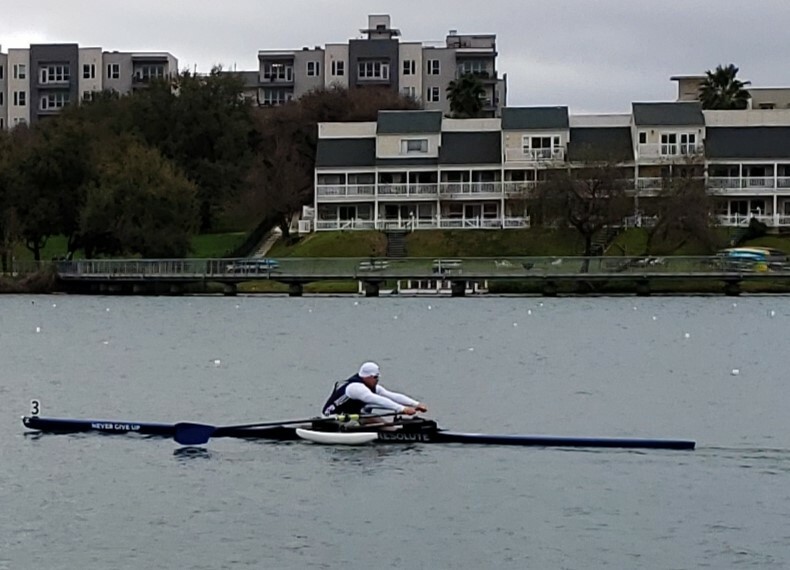 In the months and years to come, I will be representing Greater Houston Rowing Club, The Independence Fund, and Resolute Adaptive with pride! OOH RAH! 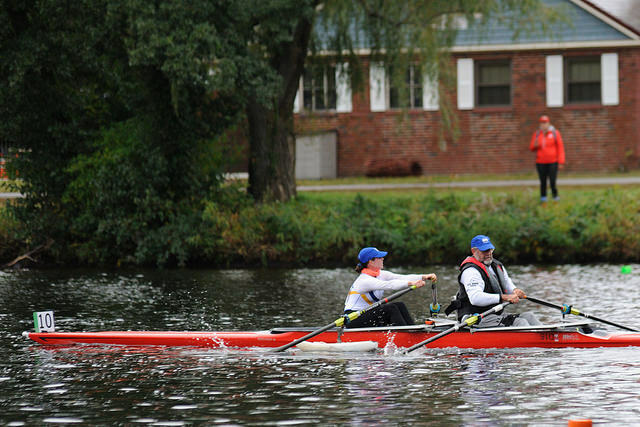 Athletes at the Head of the Charles Regatta used our Adaptive Pair Double Racing Shell and Adaptive Seat. 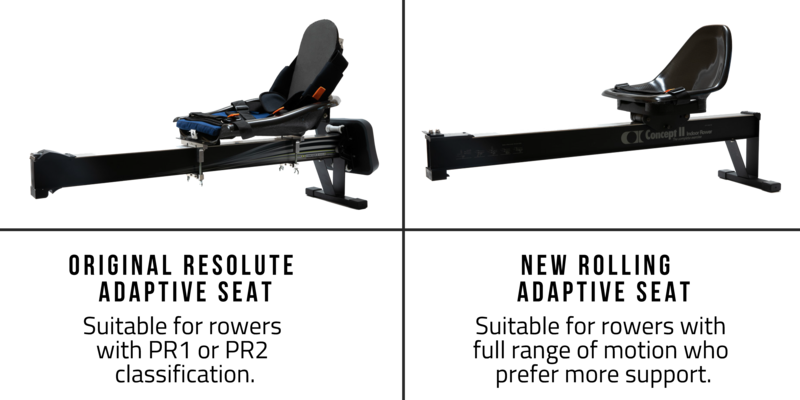 The adaptive seat was used in a PR1 configuration (with the full back support) by two rowers (one in RESOLUTE and one in Wintech). 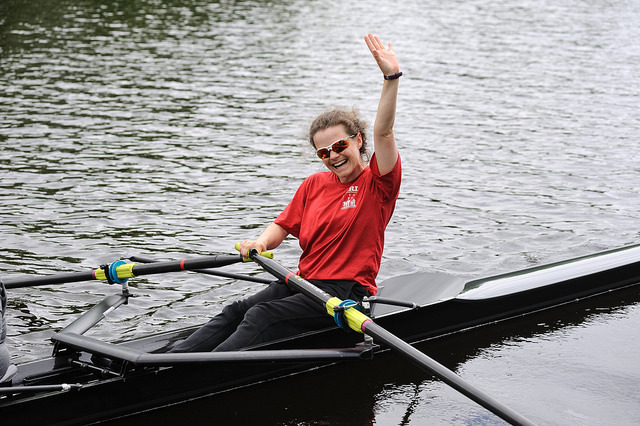 And a rower with a PR2 configuration (seat base only) competed with the seat in a Resolute Pair Double. RESOLUTE participated in the CRI Para-Coaching Workshop at CRI in Boston for a day of learning & sharing about Para Coaching & Equipment. 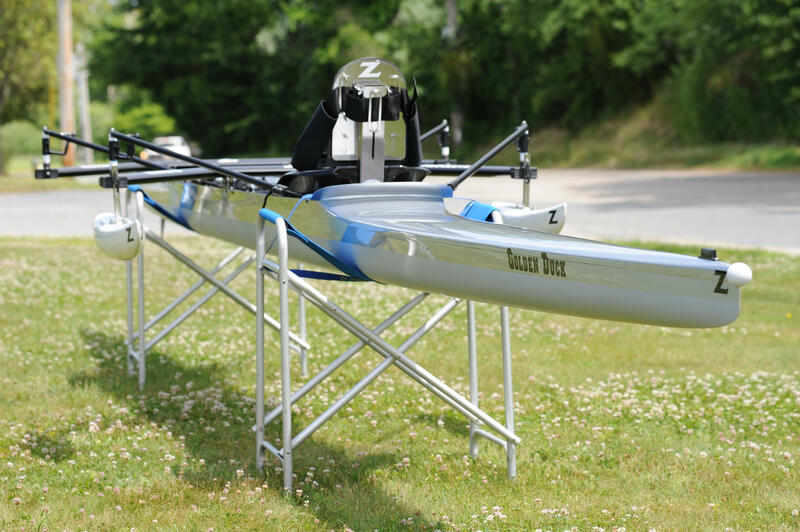 Balmain Rowing Club in Australia loved our boats so much we shipped three Down Under, one of which was an Adaptive RESOLUTE Pair Double named Golden Duck, a custom silver boat. "I can’t thank you enough for letting me use the seat. Who knew a seat could transform a sport for someone so instantly. I really enjoyed my races today and, due to the design, I had a huge positive jump in technique with so much less neurological pain. Brilliantly supported/balanced to perform to my current potential."